Become a TCEF sponsor. Your kindness can help transform a child’s life or provide much needed comfort and dignity to an elder through a TCEF sponsorship. You can start right here by clicking Sponsor a Child or Sponsor an Elder. Join a TCEF Service Trip. Every year, TCEF organizes a service trip to our program sites in India. Learn more about TCEF service trips from our site or contact Valerie Hellermann, TCEF Program Manager at: valerietcef@gmail.com for more information. Host a TCEF Event or help coordinate one. We undertake tours with various Tibetan artists to raise awareness of Tibet and its culture in the West and to seek support for our programs with children’s education. We’re always looking for persons to host TCEF events in different parts of the country. 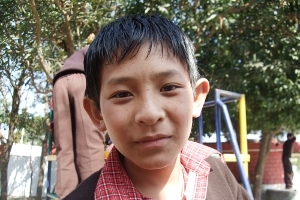 Please contact us at: karma@tibetchild.org to convey interest or for additional information. Become a TCEF Volunteer. If you live in Helena or Butte, Montana, please contact us for volunteer opportunities in our office. We’re looking for volunteers with computer and grant writing skills.